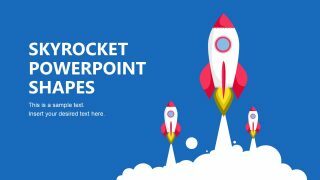 The Skyrocket PowerPoint Shapes is a presentation template including three slides with rocket shapes. The slides represent a rocket launch layout with 3 skyrockets on widescreen as the main theme. 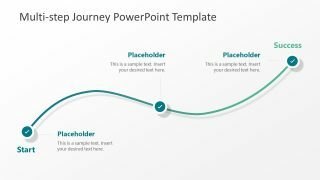 Therefore, the presenters can use these slide designs to deliver an eye-catching startup launch. Because these rockets are a metaphor for starting a business venture. 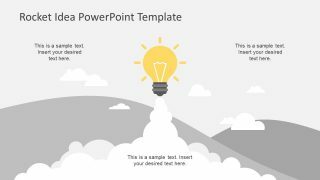 This template can be used as a metaphor of a business growth or the graphics could also present technology, research, and educational topics. Such as satellite, spacecraft, atmosphere, future, or adventure, etc. 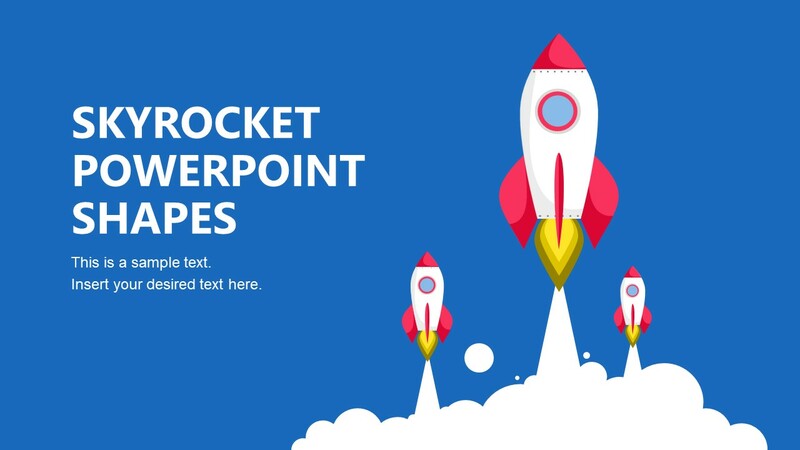 The Skyrocket PowerPoint Shapes are the creative and engaging elements to refresh professional presentation. 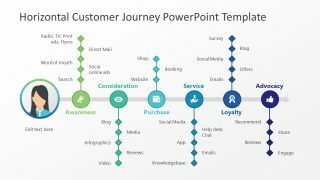 Apart from science and technology presentations, the shapes of skyrocket can also demonstrate sales, marketing, and growth metaphors. And especially product launch presentation with starts with skyrocket facing upwards. 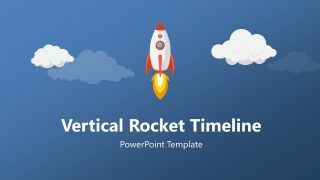 All three slides provide blue and white background with depicts blue sky and white rocket smoke below. 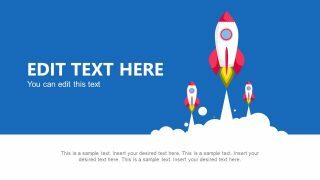 Moreover, skyrocket PowerPoint shapes in white and red color highlight slide graphics. The first template contains a header layout while the next two could present title or introduction of topics. This skyrocket shape is fully customizable; therefore, users can change background, shape size or colors in minutes. 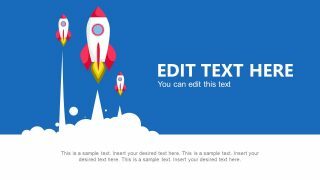 Alter the text in placeholder or adjust the position of rocket shapes. For example, place the skyrockets in different positions or rotate in another direction.